Opened in 2012 by Turkish author and Nobel laureate Orhan Pamuk, Istanbul’s Museum of Innocence (Masumiyet Müzesi) is designed to complement Pamuk’s novel of the same name. The exhibitions tell the story of his book through objects that Pamuk collected personally. It isn’t necessary to have read the book to enjoy the evocative collection. Housed in a 19th-century home in the Cukurcuma neighborhood, the Museum of Innocence and its collection of artifacts call up the Istanbul of the 1970s. The novel and the museum map the story of upper-class Istanbulite Kamal, who falls in love with his distant, poorer cousin, Fusun. The museum’s 83 display cabinets correspond with the 83 chapters of the novel. Some private walking tours of the Beyoglu district visit the Museum of Innocence. These tours may also visit Istiklal Avenue, the Pera Museum, and the Cukurcuma neighborhood. The Museum of Innocence is a must-visit for literature buffs and Orhan Pamuk fans. Entrance is free with your copy of the book. Where comfortable shoes to you explore the museum. Only the ground floor of the museum is accessible to wheelchair users. The Museum of Innocence is located in Istanbul’s Cukurcuma neighborhood, a short walk uphill from the Tophane tram stop and a longer walk downhill from the pedestrianized Istiklal Avenue. It is most convenient to take a taxi or to book a tour that includes transportation to the museum. The Museum of Innocence is open from 10am to 6pm Tuesday through Sunday and until 9pm on Thursday. The museum is closed on New Year’s Day and on some holidays. The museum can get busy in the afternoon, so arrive earlier in the day to beat the crowds. Each of the 83 cabinets in the museum’s exhibition contain different objects that correspond to chapters in the book. One prominent piece features 4,213 cigarette butts, each said to have been smoked by love interest Fusun. Another cabinet contains a collection of salt shakers, while yet another holds antique lamps. Go back in time on this immersive half-day private tour of Istanbul. An expert local guide will take you to some of this magical city’s most fascinating places, uncovering this history of each of them. Tour the famed Pera Museum with artisanal ceramics, tiles, and other Anatolian objects, as well as Osman Hamdi Bey’s celebrated ‘Tortoise Trainer.’ Wander Istanbul’s artsy Çukurcuma district, filled with museums and antique stores. See the offbeat Museum of Innocence, founded by local author Orhan Pamuk. This private experience ensures an intimate experience and personal attention from your guide. On this two-for-one group tour, you’ll discover two of Istanbul’s most significant cultural sites. 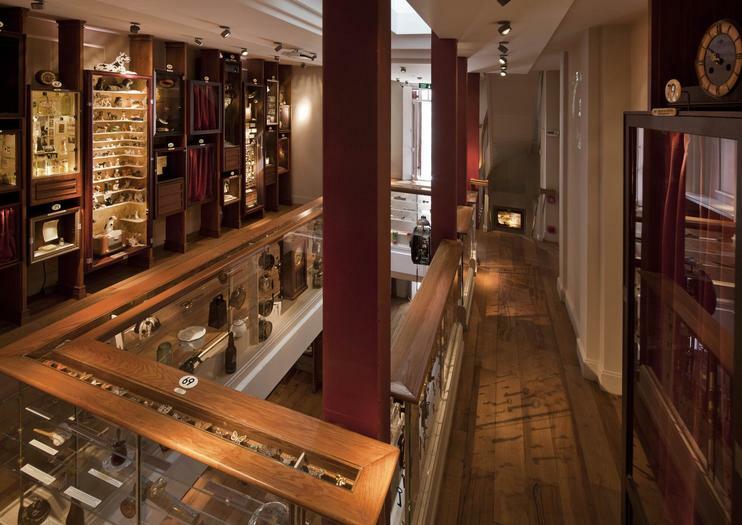 First, see decades of Turkish history catalogued through a unique collection of objects at the Museum of Innocence, designed by acclaimed author Orhan Pamuk. Then, head to 15th-century Galata Mevlevi Lodge for a museum exhibition on the Mevlevi Sufi Islam sect, best known for their whirling dervishes.